Crackdown 3, one of the most anticipated titles for the Xbox One platform, will miss its 7 November release date. Microsoft has confirmed that the game is now slated for a Spring 2018 release date. Speaking to Polygon, Microsoft’s Shannon Loftis broke the sad news, saying that they wanted to deliver the “right game, with the right quality, and at the right time”. He describes the game as extremely ambitious. As Polygon notes, the game has first showcased in 2014 and the release date has been pushed back multiple times. The previous rescheduling timed the game to the release of the Xbox One X. With the Xbox One X in mind, the game is to launch with native support for 4K gaming on the platform. Considering the number of delays, we’re sure that fans have adopted a more philosophical approach to the game’s release by now. 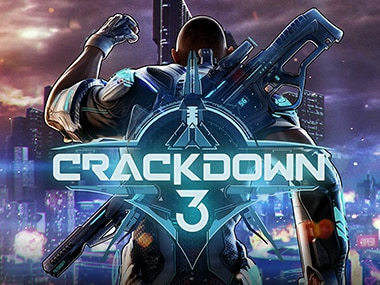 Crackdown 3 is an open world action-adventure game built on Unreal Engine 4. Visually, the game is very reminiscent of Saints Row IV. The game uses an ambitious new world engine that simulates destructible environments in real-time using the cloud. Interestingly enough, the requirement for cloud-computing apparently means that full scale destruction effects will only be possible in multiplayer modes. If this feature makes it to the final game as is, the pings had better be good.